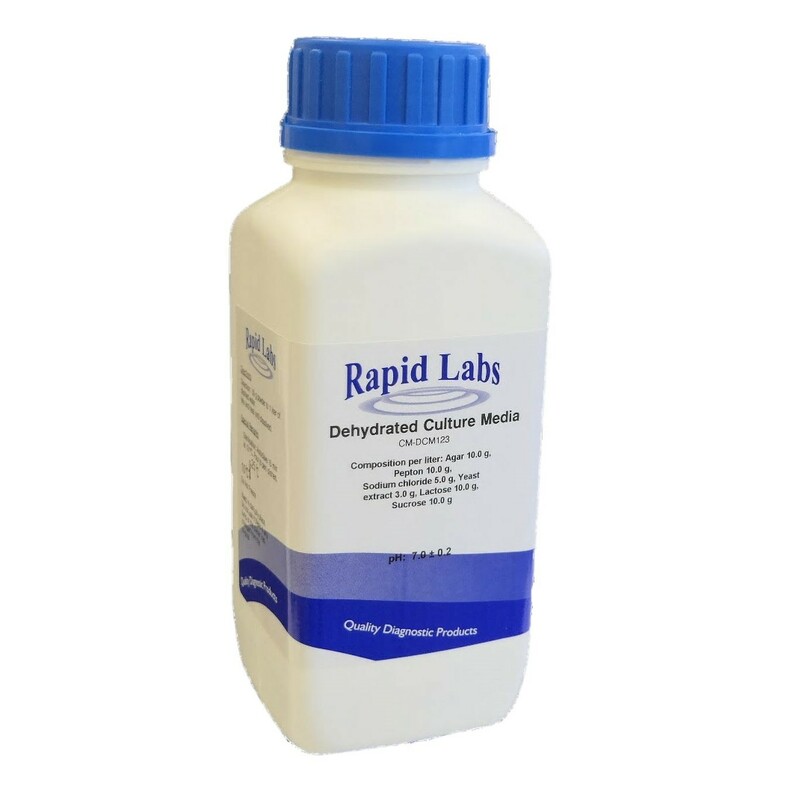 A dehydrated culture medium recommended for the isolation and enumeration of urinary microorganisms. Due to the presence of bromothymol blue, lactose-fermenting bacteria are detected by producing yellow halo around colonies. An additional dye, acid fuchsin cause lactose fermenting bacteria to produce pink colonies, non-fermenting species are colourless. It is electrolyte deficient to prevent the swarming of Proteus sp. Cystine helps the growth of coliforms. Add 37.2 grams of dehydrated culture medium to 1 litre of distilled water. Heat with repeated stirring and boil for one minute to dissolve completely. Autoclave at 121°C for 15 minutes cool down and distribute. Ready to use medium: clear, light blue-green. The plates should not be incubated more than 24 hours as the lactose fermenting organisms will mask the non-lactose fermenter.